Jane recently asked me for ideas for “signing” her needlepoint, as she has not found a good way to do this. 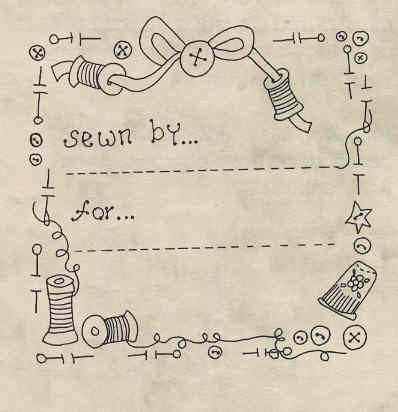 It’s a problem many stitchers face, myself included. I can think of four ways to approach this. The last two approaches are taken from the art world. The pictures throughout are not taken from needlepoint pieces, but from other kinds of art. One it to make it as unobtrusive as possible. The best way to do that is to write the information on a piece of cloth and sew it to the BACK of the needlepoint. This would be on the inside of the pillow or behind the needlepoint and the back of the picture. People wouldn’t see it, but the information would be preserved. If you do want it on the face of the needlepoint, there are two other ideas. The first is also unobtrusive. Use a thread a shade or two darker than your background thread. Make your initials and the year in Tent Stitch. Tent Stitch around it in the background color to make a box and put your background stitch around this little box. It won’t show very much. 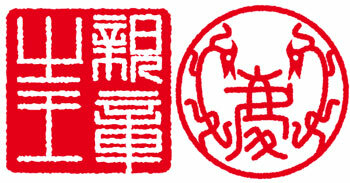 Another thing is to do something like the red “chops” or seals you see on Chinese paintings. Once again use your initials and the date, but this time stitch them in red. You might want to play around a bit to find a good-looking design). once stitched, enclose the chop in a thin red border. This does not need to go in the lower right corner as a signature would, but can go wherever it would make sense in the design. A final way is to develop some kind of symbol and use that as your signature. My favorite painter, Whistler, used a butterfly for most of his career, even for letters. It took many forms, can be found anywhere in the piece and often is almost invisible. A stylized element like this can be a great way to sign your work. However you chose to do it, signing your work allows others to know whose hard work went into the piece. Cool! Now when I think of it I have seen all the examples you mentioned. I am thinking Monogram embossor. Hand held. I would like to experiment with it on the Canvas. This probably wouldn’t work. The embossers I’ve seen don’t make deep enough images, nor are they strong enough to move needlepoint canvas. Finally if you could get an impression, it would disappear as soon as the canvas was wet to block, because the sizing washes out or would disappear if it was stretched or blocked.